Clockwise from top left: Rum Moto Boot by Jeffrey Campbell, Dolcetta by Dolce Vita Harness Heel Boot, Areas Boot by Jeffrey Campbell, Matiko Ace Boot. When it comes to shoes, there are women who choose to buy many pairs at a super low cost, those who would rather invest in statement pieces that last longer, and then there are those lucky ladies who have both — the arsenal of crazy expensive designer shoes. I’m a member of the middle troop. I like to invest in good quality, semi-trendy shoes that will go with a lot of things. Although I’ve been able to prolong the life of these boots by polishing them every once in a while, sometimes I wonder if it’s against their wishes and they’d rather me just pull the plug already. 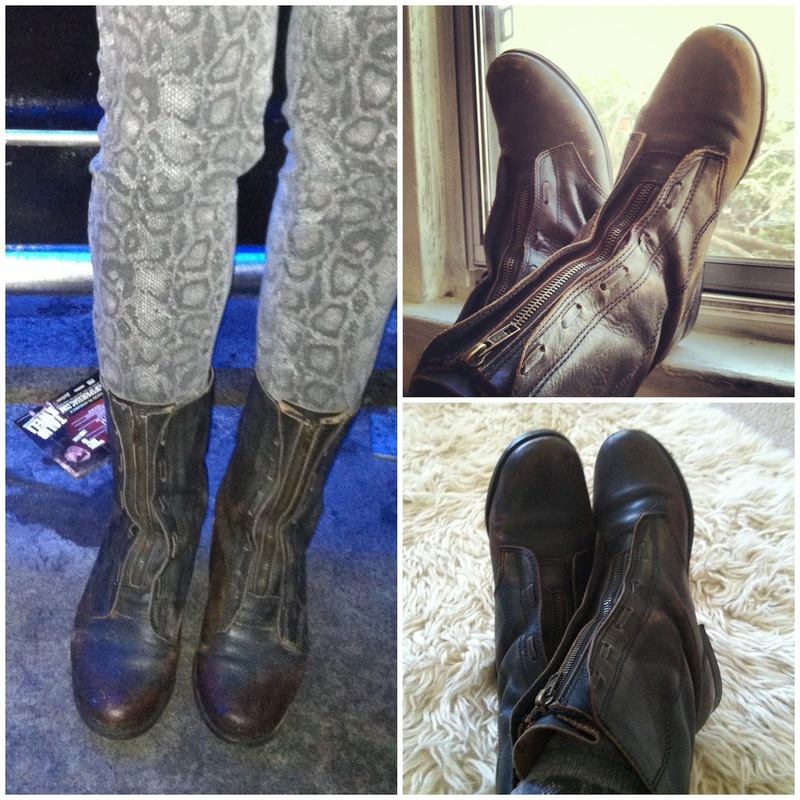 Either way, I need boots that are more versatile – a pair that have a more of a heel so they’re more feminine and can be worn with dresses (but are still tough-looking). So what do you guys think about the above candidates?